Shiok Meats is ready to take on seafood. 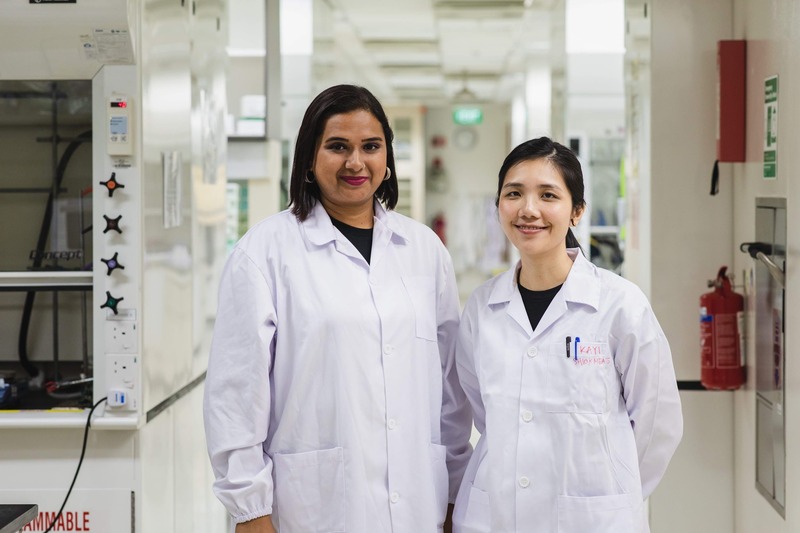 Armed with pre-seed financing and more than ten years of experience working with stem-cells, co-founders Dr. Ka Yi Ling and Dr. Sandhya Sriram are developing a cell-based alternative to shrimp and other crustacean meats. While the Singapore-based company is still in the early stages of research and development, its product has already caused a stir in the food-tech industry. Shiok Meats is one of the first companies to tackle cell-based seafood, despite the fact that global consumption of seafood is a whopping 143.8 million tonnes per year. China alone consumes approximately 65 million tonnes of seafood per year, followed by the European Union (13 million tonnes), Japan (7.4 million tonnes), Indonesia (7.3 tonnes), and the United States (7.1 million tonnes). Okay, so we eat a lot of seafood… why does it matter? Generally, today’s seafood industry, and shrimp farming in particular, is not only toxic to the environment, but is also tied to slavery, as an AP Investigation revealed. So it’s important to look for clean, healthy alternatives, and Shiok is ready to provide one. 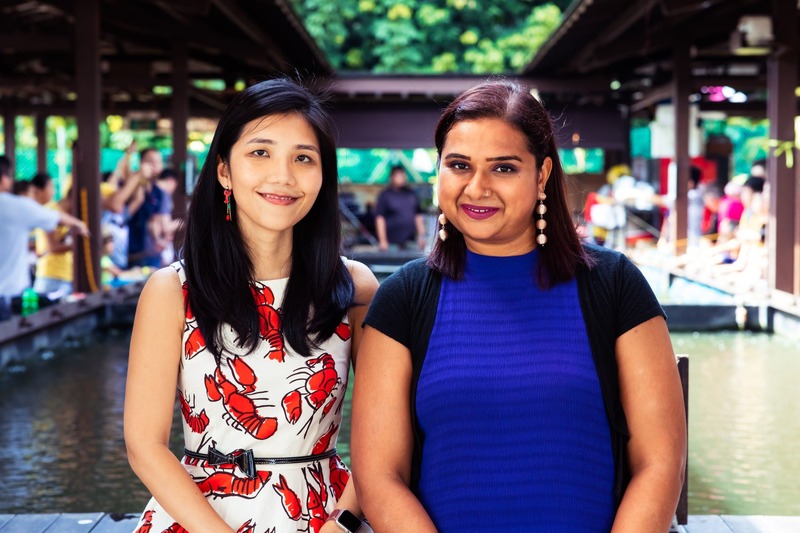 To learn more about Shiok Meats, we spoke with co-founders Dr. Ka Yi Ling and Dr. Sandhya Sriram to gain some insight into the founding of the company and its plans for cell-based seafood. Can you tell us a bit about yourselves and your background in stem cell research? Sandhya: I am the CEO and co-founder of Shiok Meats Pte. Ltd., Singapore. I am a stem cell scientist with over 10 years of experience working with muscle, adipose, cells and stem cells. After graduating with a PhD from Nanyang Technological University in Singapore, I pursued my postdoctoral research at A*STAR in Singapore. Following 4 years of postdoctoral work, I took up business development at a research institute. Alongside, I co-founded 2 companies, Biotech In Asia and SciGlo. Currently my company, Shiok Meats, is growing meat and seafood in the lab by employing cellular agriculture. Ka Yi: I am the Chief Scientific Officer and co-founder of Shiok Meats Pte. Ltd., Singapore. I am a developmental stem cell biologist with over 10 years expertise in tracing and studying stem cells during development. I received the prestigious A*STAR’s National Science Scholarship (BS-PhD) and did my Bachelors and PhD at the University of Wisconsin-Madison. I was fortunate to work with stem cell and developmental biology giants like James Thomson, Davor Solter and Barbara Knowles. Following my PhD, I worked as a research fellow at IMCB, A*STAR. I am an active science communicator since my days in Madison and frequently take part in science outreach events. I also do podcasts named “Science Now” and “Life after PhD” with a fellow A*STAR scholar. What was the catalyst for your move from government positions to entrepreneurship and founding Shiok Meats? Sandhya: I was tired of the bureaucracy and the glass wall. I had my first taste of entrepreneurship when I started Biotechin.Asia in 2014 and I loved it even though my time there ended in 2 years. Ever since, I have always wanted to do something on my own, away from the “publish or perish” wrath of academia and help make the world a better place. Hence, mid 2019, it was the the right time for me to quit my job and start Shiok Meats – using my stem cell biology + startup/business skills, I stepped into the world of full time entrepreneurship and I have loved every day of it! Ka Yi: The catalyst was definitely my love for food and the ability to use my scientific skills to a practical product. I didn’t enjoy the way academic research was focused on grant-writing and journal publishing. I felt that even if research was published in top tier journals, they often did not impact the public. I was really excited when Sandhya shared her idea of cell-based shrimp, and opened my eyes that I could actually make use of my stem cell techniques to create food! Being able to trace the source of food production has been a huge concern for me and cell-based meats provide a perfectly transparent way to do so! Furthermore, even though I’ve never been business oriented, I was thrilled by the opportunities being a founder and entrepreneur brings! And indeed, I’ve been learning so much every day! Why the focus on seafood and, in particular, shrimp? Our company is based in Singapore, Asia. We consume a lot of seafood in this part of the world, but the way seafood is being farmed is unsustainable and harmful to human health. Shrimp farming is tainted with high use of antibiotics and hormones, leading to environmental and health consequences. Wild caught shrimp are tainted with microplastics and the 1:20 ratio of bycatch for shrimp is simply unacceptable. Hence, we decided to work on cell-based meats of shrimp. Can you explain a bit about the process of developing a cell-based shrimp? The basic technology behind cell-based meats is using stem cells isolated from the animal once and then using those infinitely viable stem cells to grow them into meat which composed of muscle fibers, fat tissue, and others, like connective tissue, blood cells, etc.. These stem cells are fed with a nutrient mix that helps them grow into meat tissues – without the use of antibiotics or hormones that affect human health. This also leads to reduction in food waste and environmental impacts. How much do you estimate that the shrimp substitute will cost? Right now the cost is high as we are in early stages of R&D, but we foresee the cost going down as production goes up. Do you already have specific target markets in mind that you plan to sell to? Yes, our target market is Asia-Pacific with Singapore and Hong Kong being our first markets of entry. What are some of the advantages or disadvantages of a cell-based meat substitute? Advantages: Health-, animal-, and environment-friendly without the need to kill millions and billions of animals, yet feed the world good quality and healthy meats and seafood. The high price is something that everyone is bothered about and all the cell-based companies are working towards scale-up and reduction of costs. How did you source your funding as a startup? Which VCs or companies have invested in Shiok Meats? We started off with angel investors who believe in our mission and vision, and then had bigger firms invest in us. Some of our investors are Ryan Betherncourt, Aiim Partners, Boom Capital, Y Combinator, and Entrepreneur First. Where did the name ‘Shiok Meats’ come from? Shiok means delicious or fantastic in Malay and Singapore slang; hence it was perfect as our company’s name! When do you expect you’ll be ready to bring your product to the market? By the end of 2020, we aim to be in at least 1 premium restaurant. It will take us 3-5 years to reach the mass scale market.